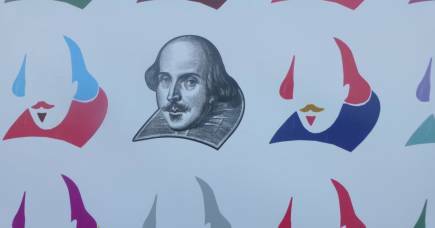 Shakespeare: Wherefore art thou meaning? 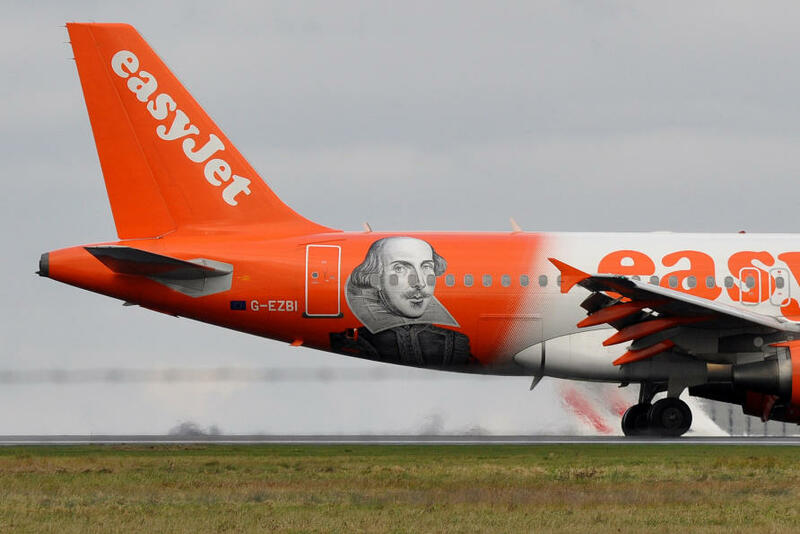 Shakespeare’s words are everywhere – sometimes you just don’t realise it. Ben Affleck apparently believes that Batman is America’s Hamlet. Hit TV shows Seachange (Australia), Outrageous Fortune (NZ) or Slings and Arrows (Canada) all take their names from Shakespeare quotations. A jester named by Shakespeare in Love’s Labours Lost adorns the bottle of a South Australian cabernet sauvignon. Even my mechanic’s website boasts “A Brave New World in Accident Repair”. Many of the popular quotes are misunderstood, however. 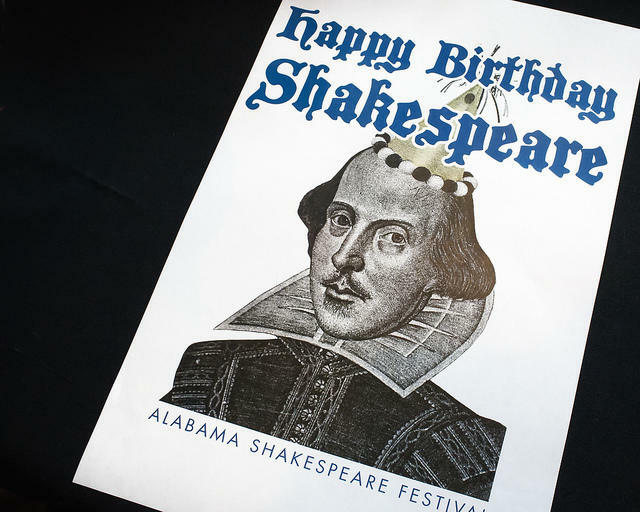 When a camping store mangles Richard III’s lines to produce the advertisement, “Now is the winter of our discount tents”, they are engaging playfully with a well-known Shakespeare quote. On the other hand, most people who exclaim “What the dickens!” probably have a 19th Century author in mind (it’s actually from The Merry Wives of Windsor), and references to a “brave new world” are as likely to be to Aldous Huxley’s novel as to The Tempest. So let’s look at some famous Shakespeare quotes in their original context. Juliet pines away at her balcony, forlorn and yearning for her lover who has disappeared into the night just moments after the two teens met at the masquerade ball. But “wherefore” means “why”, not “where” – she doesn’t want to know where he is; she wants to know why he has to be a Montague, and the sworn enemy of her family. Her next line removes all doubt: “Deny thy father and refuse thy name” – in other words, don’t be a Montague. In this image, Macduff’s helpless family members are figured as prey (pretty chickens) and Macbeth as a bird of prey (a kite) that swoops and attacks them. “Fell” in this context means “fierce, savage; cruel, ruthless”, as the Oxford English Dictionary explains. The popular mistake is easy to understand: “fowl” as in “bird” (chickens, kite) or “foul” because the act is treacherous (and performed by a “hell-kite”). In fact, Macduff is using a now obsolete adjective, which forms the root of the still-used term for a criminal, “felon”. To die, to sleep, is that all? Ay, all. This 1603 version is generally regarded as being somewhat inferior to the 1604-5 and 1623 editions. 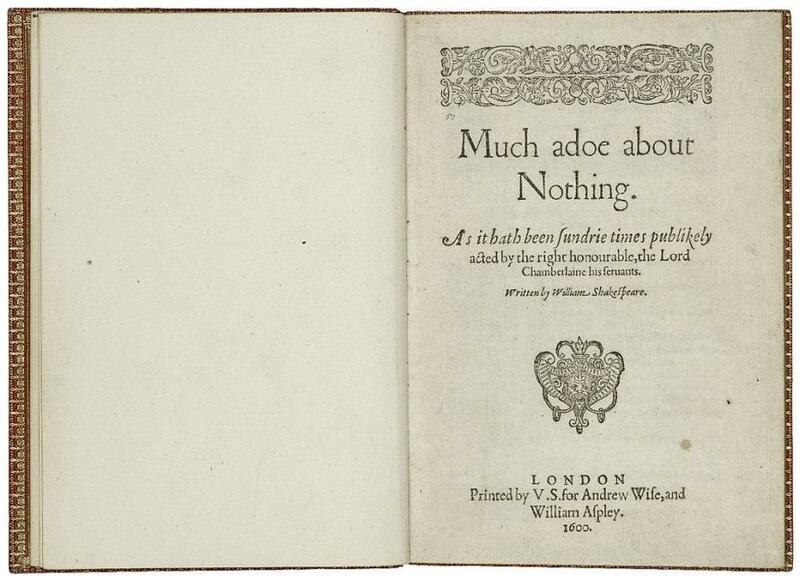 Was it Shakespeare’s first draft, which he subsequently improved? Was it a pirated text, written down from memory by an actor who only played a minor role in the play? Or is it actually, as Zachary Lesser has recently argued, the most coherent version of the speech? Critics are still debating whether this speech is about suicide (“to die, to sleep”), about the dreariness of life more generally, or about the merits of action vs inaction (“to suffer the slings and arrows of outrageous fortune…”). No wonder, when the passage exists in such different forms. This is from the graveyard scene at the start of Act V. Completing this line is meant to be a trick question in quiz shows; the contestant is meant to misremember it as “Alas, poor Yorick. I knew him well”, whereas the correct reading is “Alas, poor Yorick. I knew him, Horatio”. Unlike the “To be or not to be” speech, the line about Yorick’s skull is the same in the three early printed editions of Hamlet. There’s also an intriguing tendency to misremember the context in which this line is delivered. Although the image of Hamlet contemplating the skull is one of the most iconic of all scenes from Shakespeare, the actor playing Hamlet is not alone during this moment: he is surrounded by the gravediggers and Horatio. Worse, this moment is typically confused with the “To be or not to be” speech! Why? 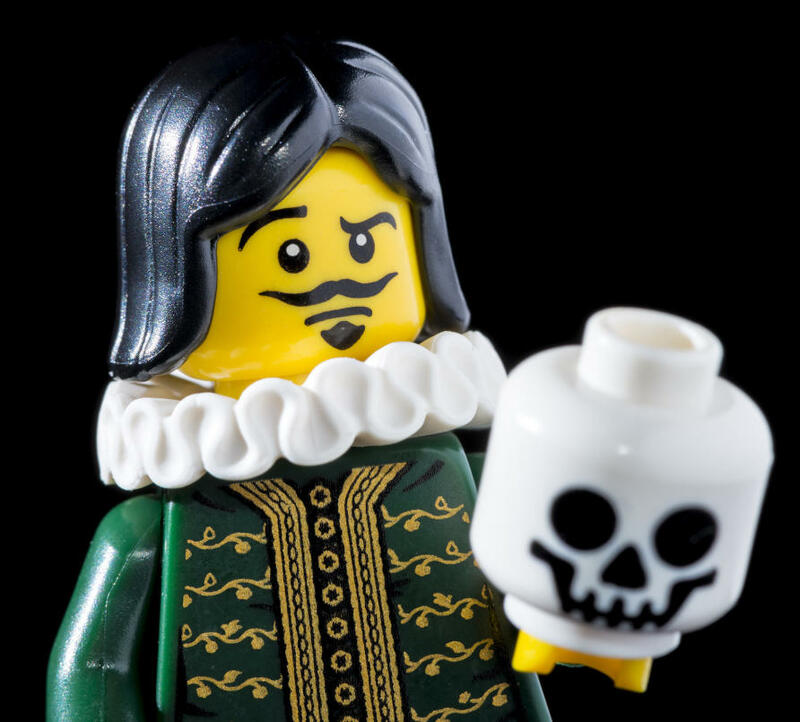 Ann Thompson and Neil Taylor suggest “Hamlet-as-icon … has to be alone” – this is the moment of introspection, of facing death and mortality, of Hamlet-as-philosopher. There were no spotlights in the open-air theatres of Shakespeare’s day, but this is a “spotlight moment” if ever there was one. Benedick’s reply points to the next pun: he looked on Hero but he paid her no sexual attention. “Naught” could refer euphemistically to either female or male genitalia, and “naughting” to an act involving both. When Antonio, the merchant of Venice, borrows money from Shylock (the Jew), he does so on condition that if he cannot repay within a certain timeframe, he will have to give Shylock a pound of his own flesh. When Antonio looks set to forfeit his bond, Shakespeare’s play begins to take a sinister turn as characters ask the Jew whether he will really demand the bloody payment. “What’s that good for?” asks Salarino, pointing out how useless a pound of human flesh would be. “To bait fish withal: if it will feed nothing else, it will feed my revenge”, answers Shylock. 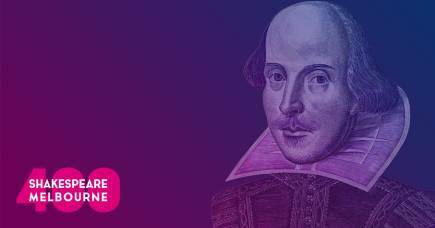 What follows is one of the most celebrated speeches in Shakespeare, ostensibly about racial and religious equality. But what’s often forgotten is that this exercise in comparison between Christians and Jews culminates in the desire for revenge: “And if you wrong us, shall we not revenge? If we are like you in the rest, we will resemble you in that.” Fair point, that. Not as entirely pleasant as one might think, without the context, though. The opening line of Shakespeare’s Richard III by itself sounds negative: the winter of our discontent is upon us. In the play, however, the complete line reads: “Now is the winter of our discontent/made glorious summer by this son of York”. Richard is referring to the conflict between the houses of York and Lancaster, which has recently taken a turn for the better (from his point of view) with his brother, Edward IV, defeating Henry VI and claiming the throne. Winter gives way to summer and prosperity, thanks to York’s son/sun. Yes, Shakespeare apparently invented this phrase, which is generally taken in a positive sense to mean that opportunity beckons, that pearls lie waiting for the lucky person who’s speaking. It comes when Falstaff and Pistol are arguing over money in the Garter Inn. Falstaff refuses to lend Pistol a penny, and Pistol replies: “Why then the world’s mine oyster, which I, with sword will open.” Read in context, the image is decidedly more violent and points to the need to seize opportunity, to actively pursue one’s needs or desires. To proverbially open an oyster with a knife or dagger meant to maintain a safe distance, but Pistol is penniless and threatens to resort to theft. To declare you’re ready for a sea change typically means you’re ready to leave your house in suburbia and move to the coast and a low-key, laid-back lifestyle. Sea nymphs hourly ring his knell. Ferdinand’s father has undergone the most literal of sea-changes: his bones have turned to coral in the salty depths of the Mediterranean. So the “escape to the seaside” idea is actually less to do with the beach and more to do with a radical transformation of one’s life (Ferdinand’s father turns out to be okay, if you’re wondering! ).